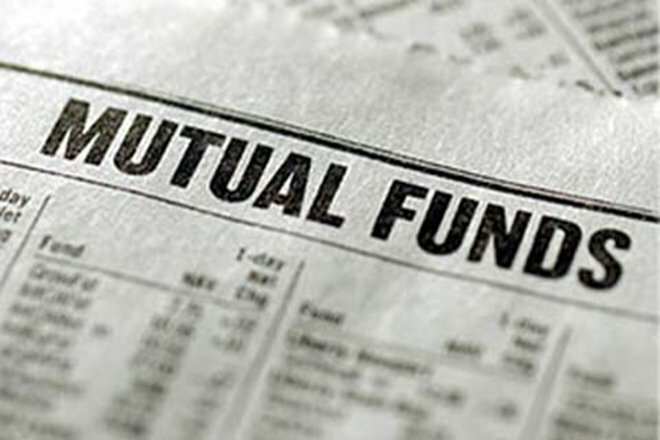 One statement that agrees with while investing in mutual funds is “mutual fund investments are subject to market risk, please read the offer document properly before investing.” This statement itself is enough to caution investors about risks associated while investing in market-linked securities. Market risk plays an important role in deciding the returns of a fund over a certain period. The greater the risk component of the fund, the higher the chances of losses are its if not managed properly. The whole mutual fund scheme is devised around the risk component. For example: Equity fund schemes are comparatively more exposed to market risks than a balanced fund and balanced funds have a higher risk grade compared to the debt fund. This measures the possible deviation from its average return and indicates the volatility in the fund. In simple terms, the higher the standard deviation, the greater is the risk. For example: a standard deviation of 10% indicates a possible deviation of 10% from its average return. This shows the sensitivity of a fund towards the market movement. Beta is always benchmarked to 1, and if for a particular fund the beta is 0.80 which means it is less sensitive to benchmark movement, or if it is 1.20, then it means it is more sensitive. It’s the beta for the debt funds and it indicates the sensitivity of the fund to a percentage change in interest rate. The higher the credit rating of the funds in the portfolio of a debt fund, the lesser it is exposed to default risk. Following is the list of top 10 mutual funds with minimum market risk across different categories. The scheme falls under the Balanced Fund category and seeks capital growth through using equity derivatives strategy, arbitrage opportunities and equity investment. The return grade for this fund is “Above Average” and since its launch, it has generated a return of 13.14%. The fund focuses on the generation of long-term capital growth with lower volatility through investing in a balanced portfolio of Equity & Equity linked investments and fixed-income securities. Since its inception, the fund has given returns of 11.89% and in 3-year period, it has generated returns of 12.38%, outperforming the category by over 3 percentage points. The fund falls under Arbitrage category which has the lowest volatility as its income is driven through profit from arbitrage opportunities in the market. The scheme invests 65 to 85% of its assets in equities and equity derivatives and the rest in debt securities. It invests in equity and then would offset its investment in equity by taking a parallel position in equity derivatives. As the name suggests, the fund seeks capital growth through low volatility absolute return strategies and opportunities in the cash and derivative segment in the equity market. The fund also invests in debt and money and market securities. Its expense ratio is 0.28% and returns since inception is 7.43%. This fund falls under the conservative hybrid category and generates long-term capital appreciation through investment in money market and debt securities. It has generated a return of 10.97% since its inception and has an expense ratio of 1.28%. The fund seeks capital appreciation through investing in debt securities, equity and equity-related securities. Over the last three years, the fund is able to outperform its category in terms of return and since inception, it has generated a return of 8.27%. The fund falls under the Hybrid Multi-Asset Allocation category and invests in mutual funds as per the investor’s risk-return profile. The fund is able to generate stable returns with comparatively lower market risk and the returns since launch stands at 9.25%. The fund falls under debt category and invests in high-quality money market and debt securities for capital growth with low risk. The fund has a low expense ratio of 0.11% and returns are above average in its category. It has continuously outperformed its peers and the returns since launch is 8.15%. This is a Gilt class fund, which means it invests only in government debt securities and T-Bills with medium to long-term maturity periods. It is consistently outperforming its category and benchmark. Its return since inception is 9.33% and an expense ratio of 0.58%. It falls under Hybrid Equity Savings category and seeks capital growth through arbitrage opportunities in the cash and derivatives segment of the equity market and limited exposure in equity and equity-related securities. Return since launch stands at 8.59% and the expense ratio of 1.74%. The risk factor is the main component which decides the returns of the fund. Active management of risk and implementing winning market strategies helps to generate higher returns but there are also chances of losses. While investing, comparing SD and Beta of funds helps you to choose the right fund best suited for your needs.